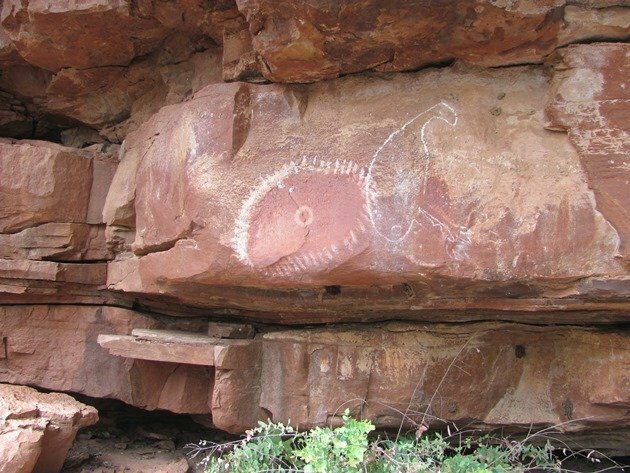 Keep River National Park is situated just over the border when you leave Western Australia and enter the Northern Territory and is always worth stopping off at for a night or two. It offers several walks from the short walk at Cockatoo Lagoon near the entrance to the longer walks deeper into the park. 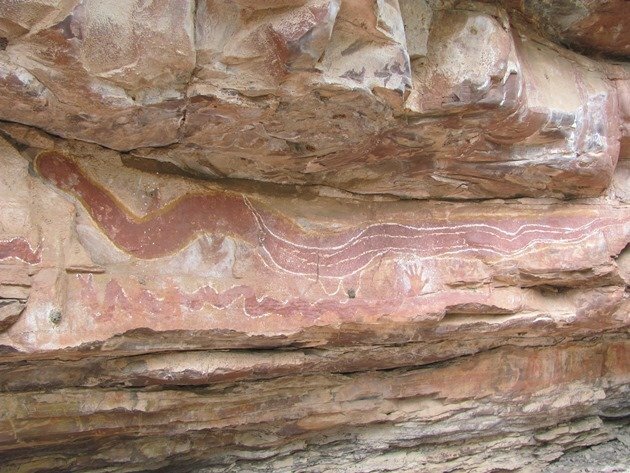 The best walk for observing the rock art in the park that is accessible to the public is the Jinumun walk and it follows the bed of the Keep River to a site once used by the Miriwoong people as a shelter during the Wet Season. 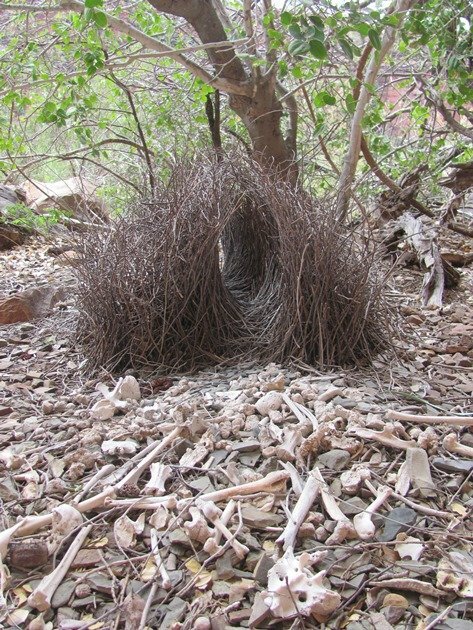 Great Bowerbirds also like to build bowers close to water courses and so it is not unsurprising that over the years we have discovered two near the rock art. 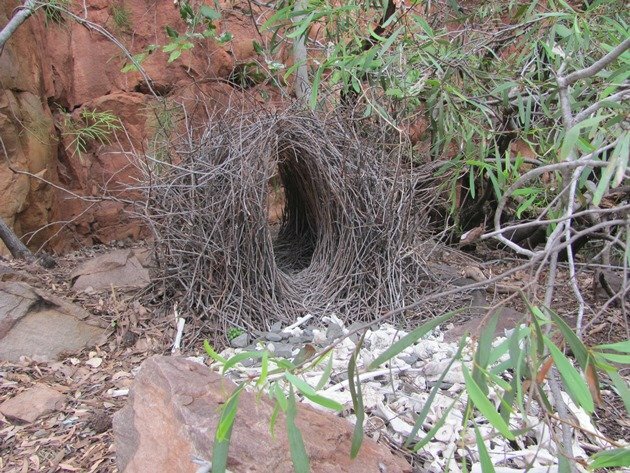 The advantage of finding a Great Bowerbird’s bower is that you can return for years to come and watch it develop to a larger construction or if it is lost to the elements it will be rebuilt very close by. 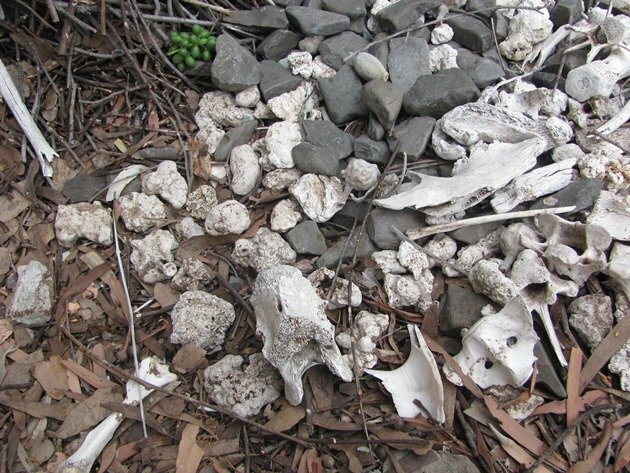 At this particular area of Keep River National Park the Great Bowerbirds are using natural items to lure a female friend to mate and mostly bones and rocks. At other sites they will collect items of a less natural state to lure a mate. 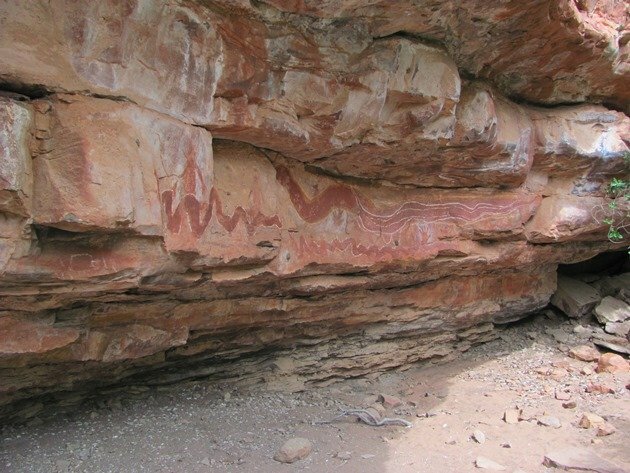 The first bower that you come to is close to the first cave where there is a beautiful collection of rock art. It is just after the first area where water would rush through in the Wet Season and you have to do a bit of rock scrambling to get by! 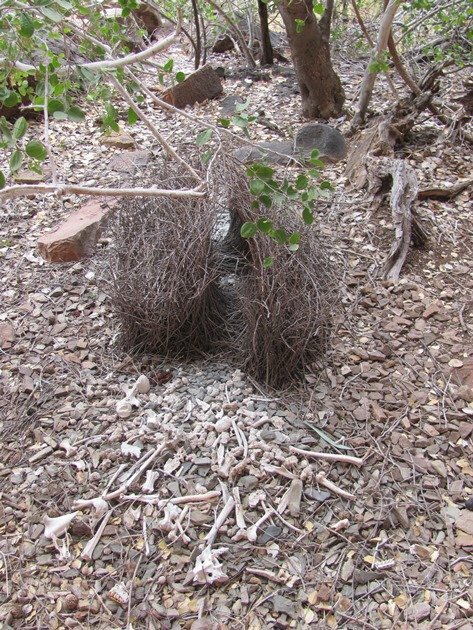 By the time you have walked this far you will have been listening to the variety of mimicry calls that the Great Bowerbird makes and be careful you don’t write down a species that you heard and did not see, because it may well have been a Great Bowerbird teasing you! As you can see there can’t be many creatures that don’t end up as part of a display in this area after they have died. 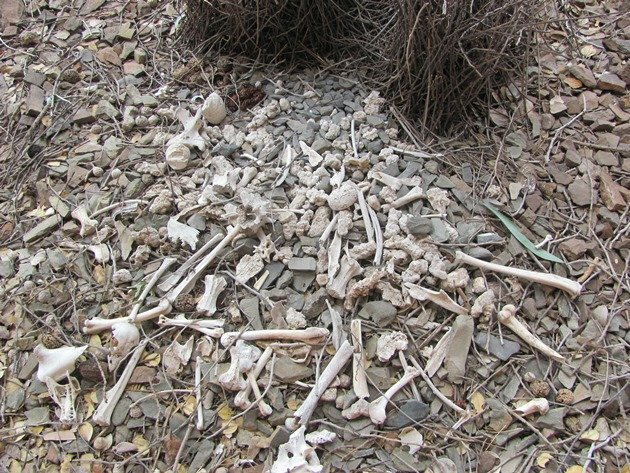 There really is quite an assortment of bones! 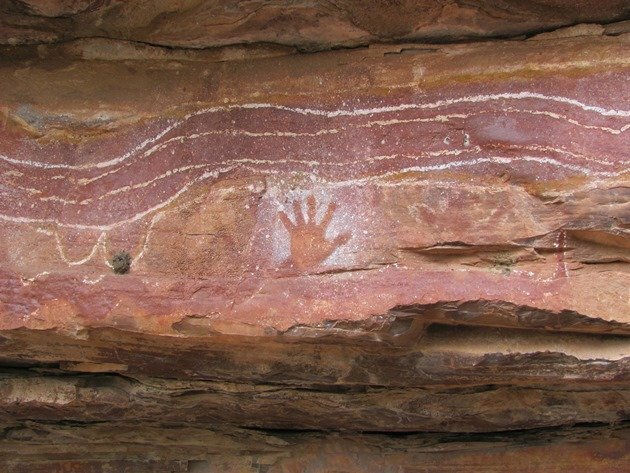 The second Great Bowerbird’s bower is directly behind you when you look at the rock art at the final cave before the track comes to an end. 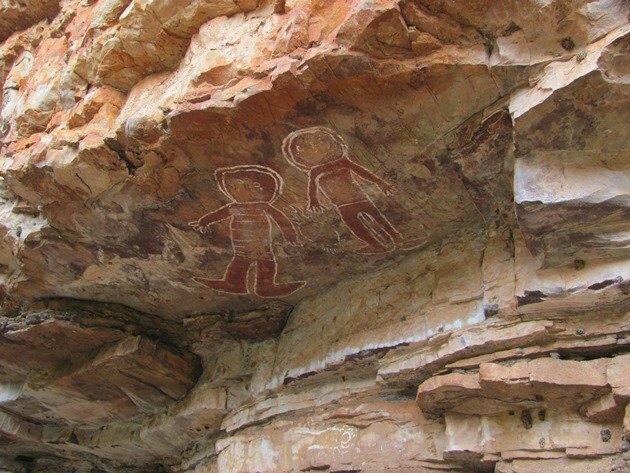 It has also been there for many years that we know of and has been moved slightly, reconstructed after weather events and the displayed items moved to the new location. 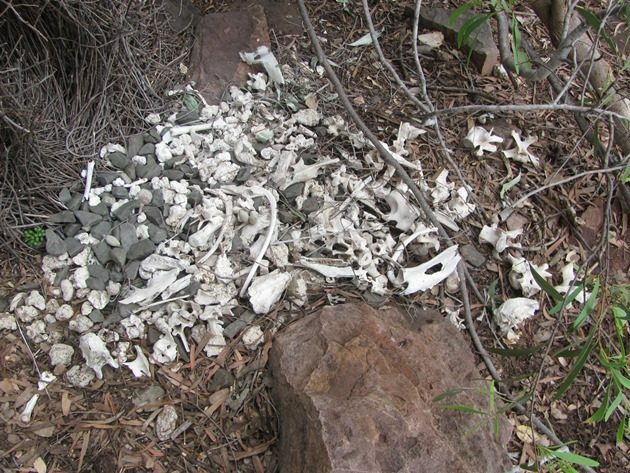 Most of the Great Bowerbird’s bowers we find do have unnatural items being displayed, so these are quite unique and it is always interesting to visit and see what has changed! 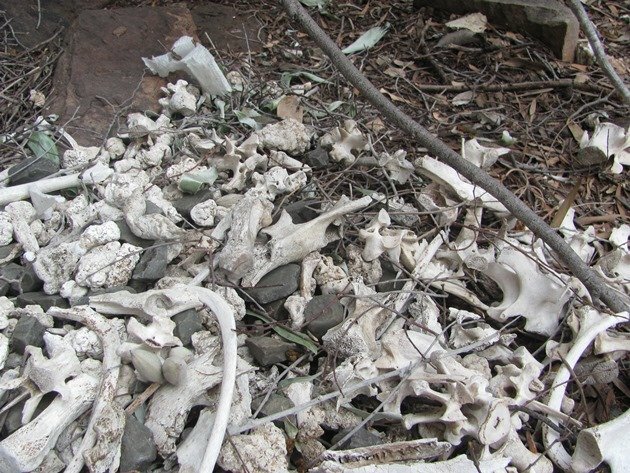 Wow, so many bones…Carrie should find Inspiration here.